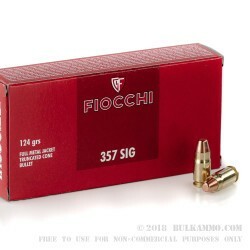 For those that are unfamiliar with the exceptional value that Fiocchi offers, this 357 Sig load is a fantastic first foray into the line, with the price point representing an incredible cost per round and the reliability and the ballistics of this seemingly simple round off the charts. The .357 Sig in the classic line by Fiocchi offers impressive ballistics with this FMJ truncated cone; exiting the bore at 1350fps, with 505 ft. lbs. of energy. The ballistics are good enough that the round could easily be used as a self-defense round, though it’s built essentially for range use and general shooting. The reliability and feeding of this Fiocchi load is seriously impressive; when you factor in the price, it’s almost too good to be true for such a hard to find round. 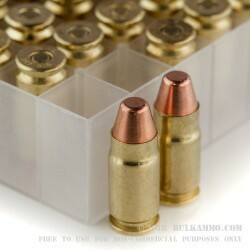 The harmony of the high performance numbers, the reliability in feeding, extraction and ignition, and the value pricing, not to mention the brass casing with boxer priming that makes this brass easily reloadable, is admirable. Fiocchi isn’t new to this game though: they’ve been manufacturing ammunition this good for a very long time. 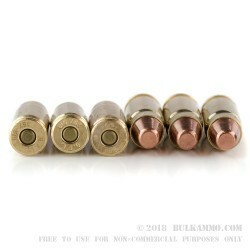 If you are new to the line, the brand or the round, this is easy choice for range duty or other handgunning needs.